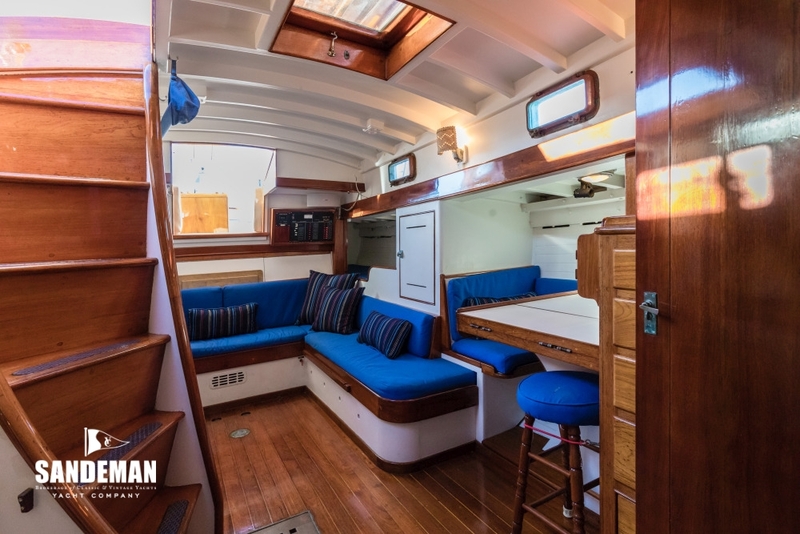 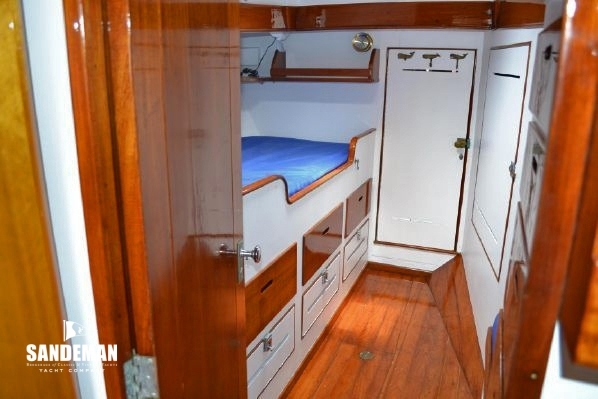 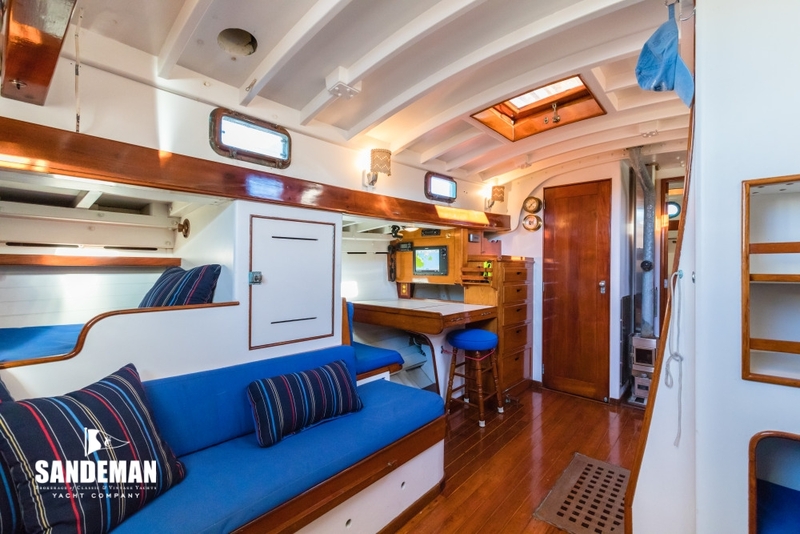 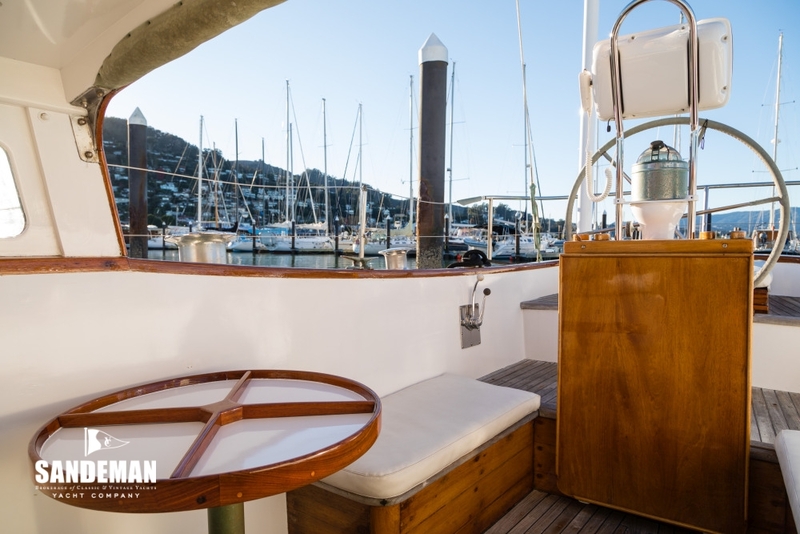 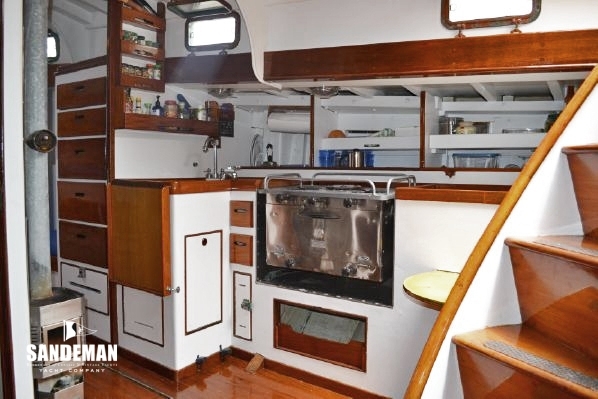 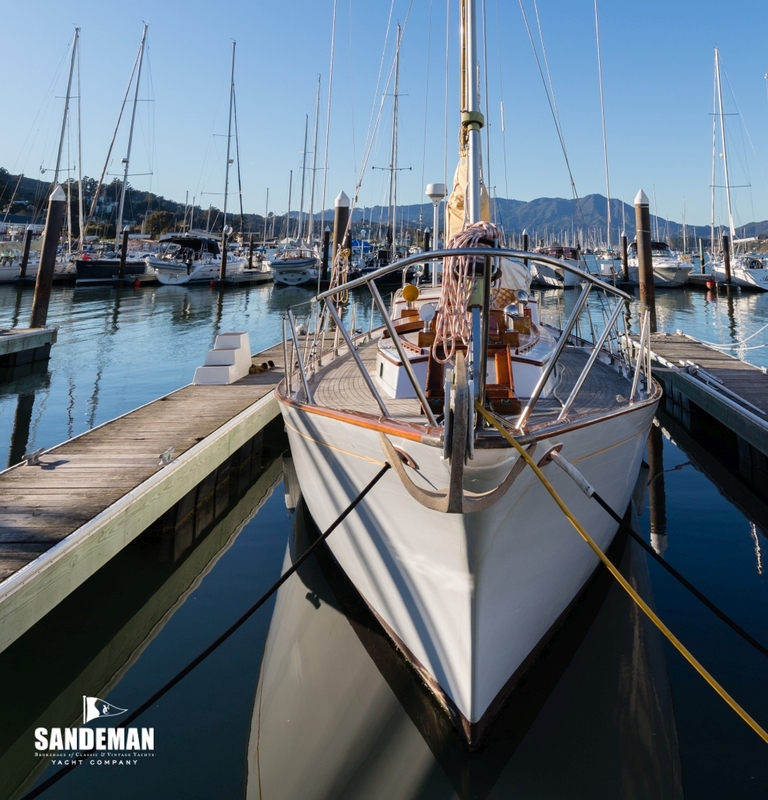 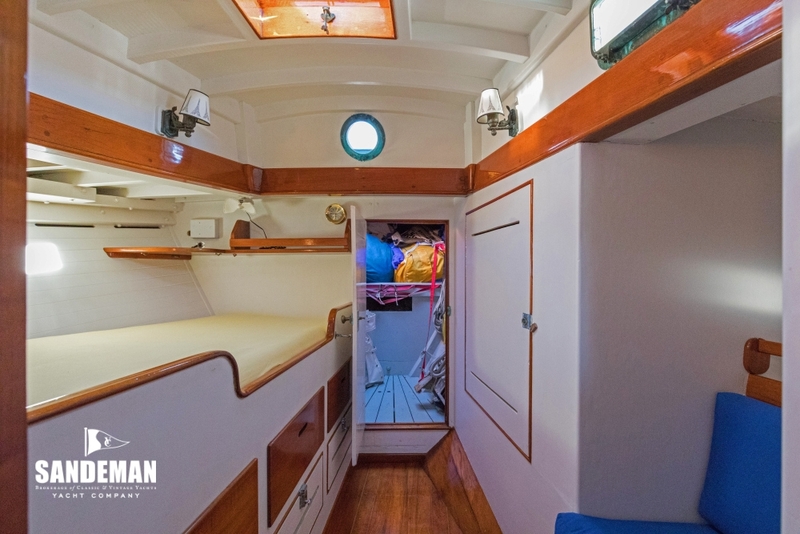 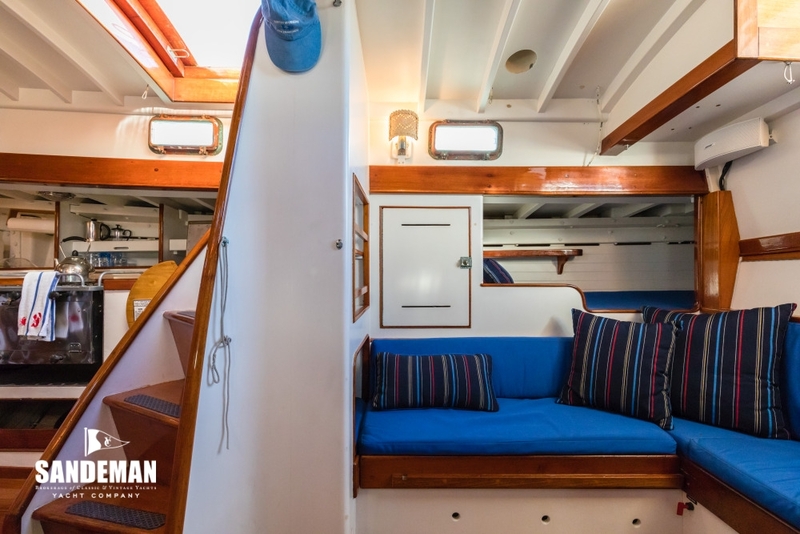 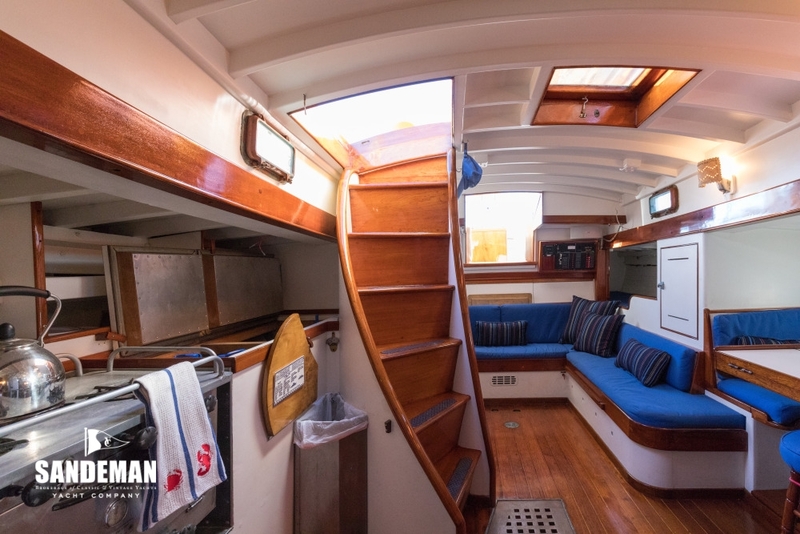 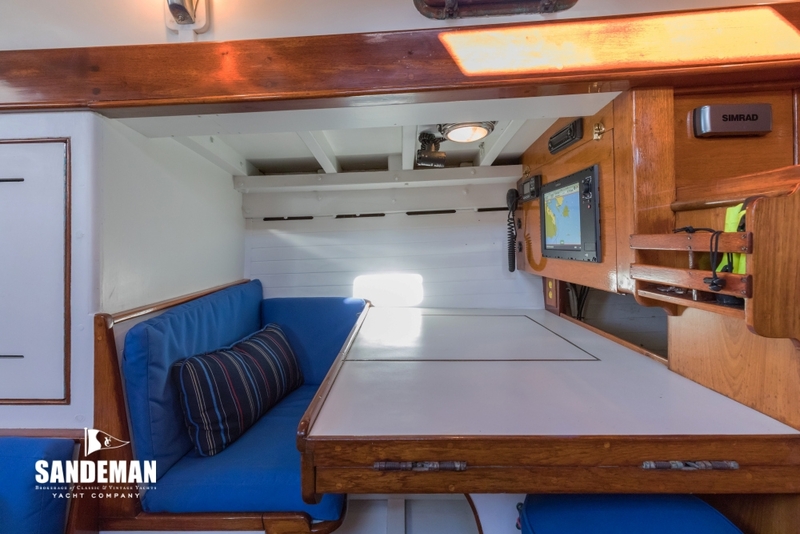 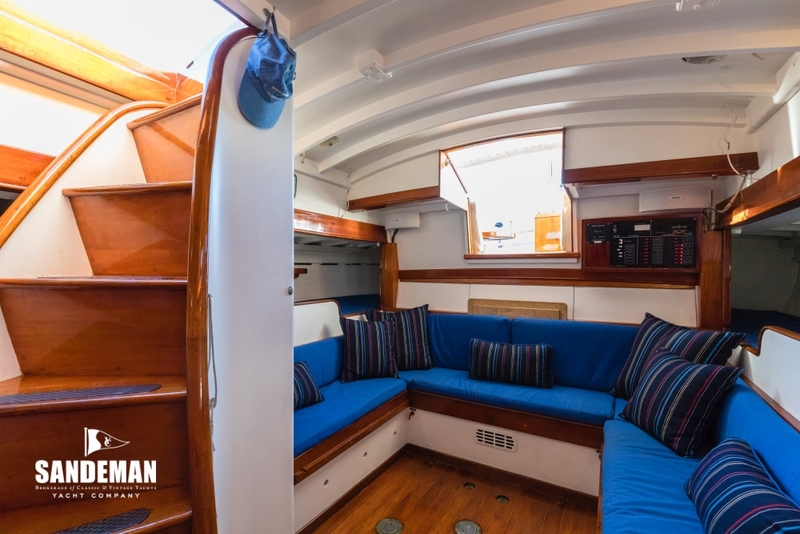 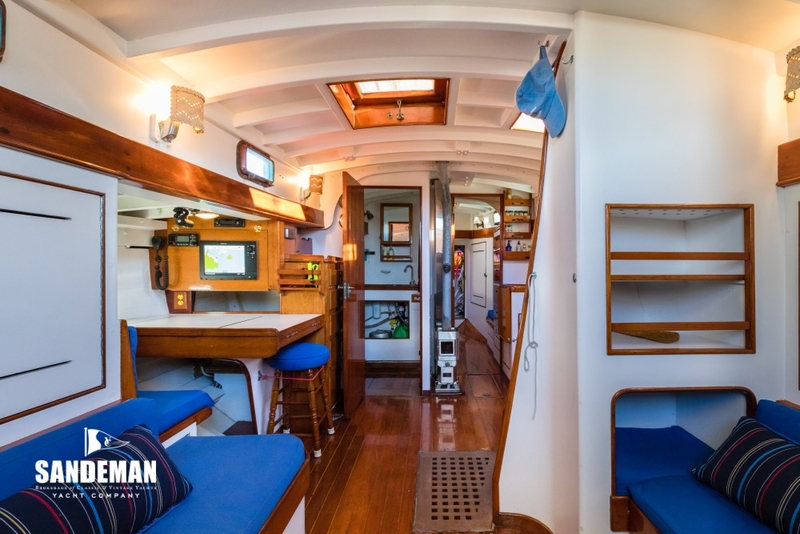 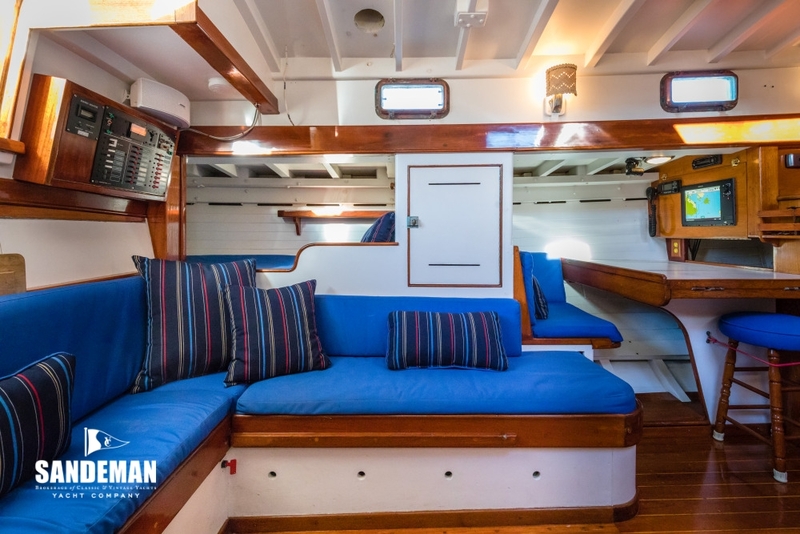 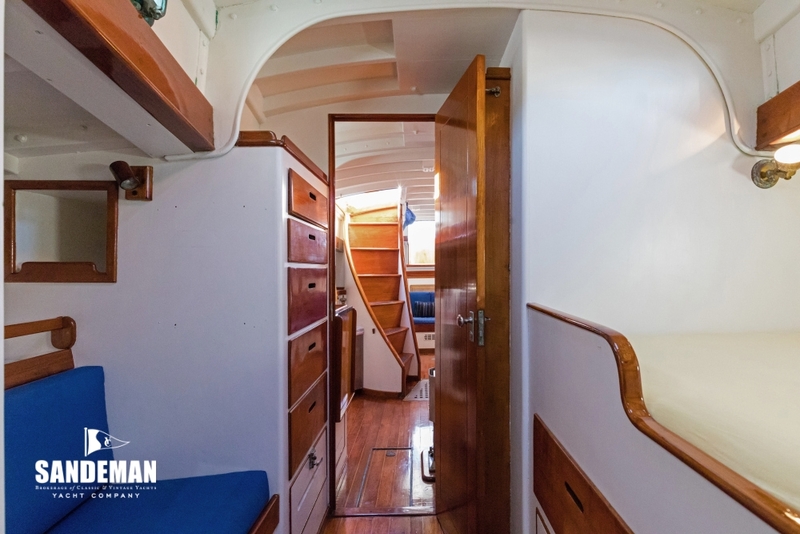 A close sister to the highly regarded THUNDERHEAD – another Rhodes design built for famous ocean racer Paul Hoffman, ROWENA has a similar open plan interior and most notably husky sure -footed sailing qualities. 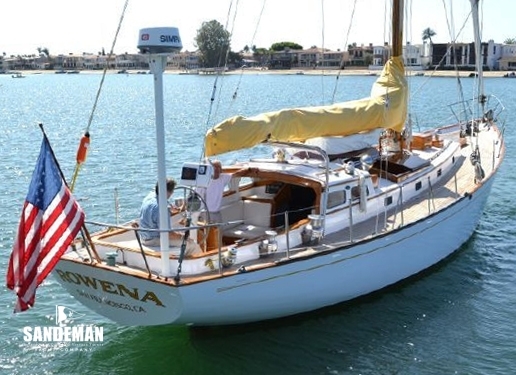 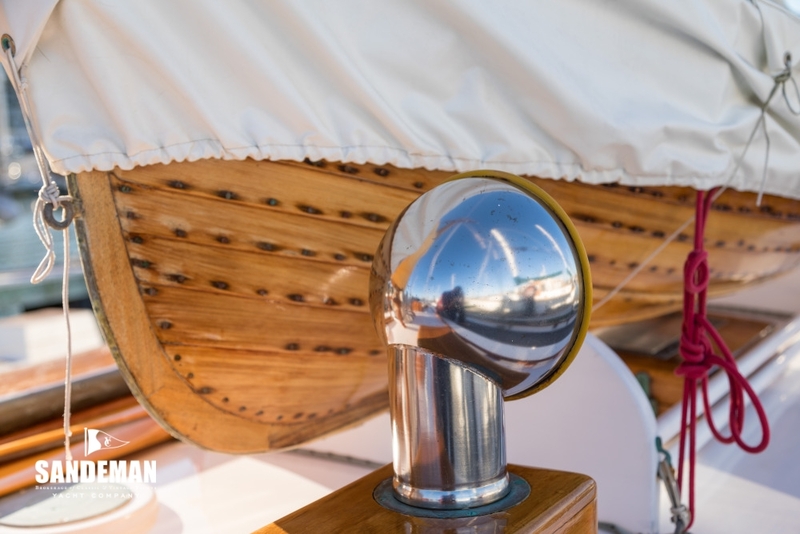 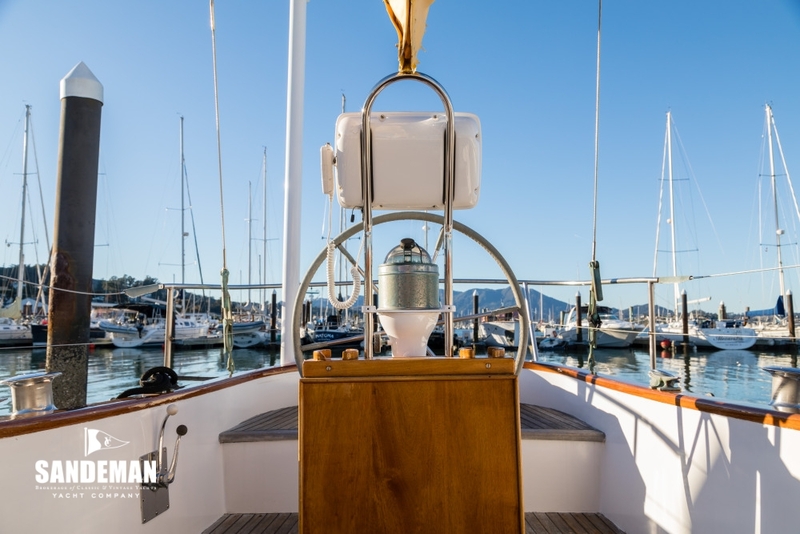 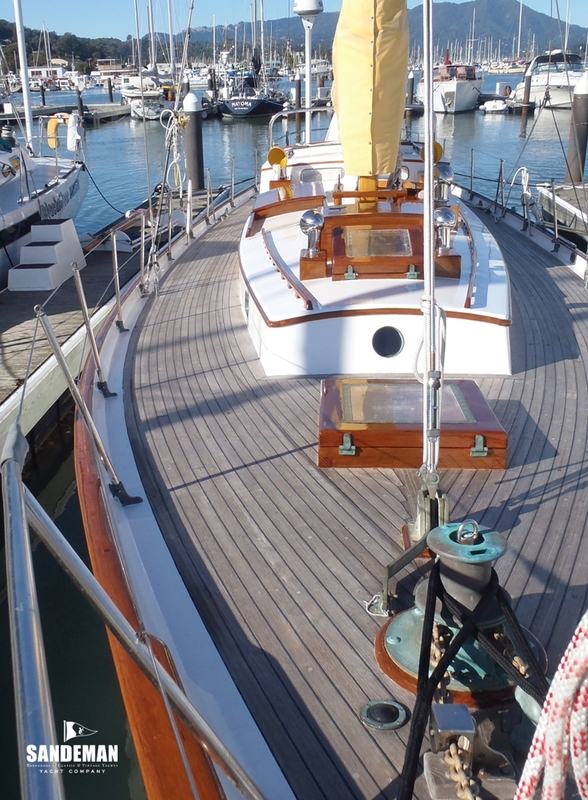 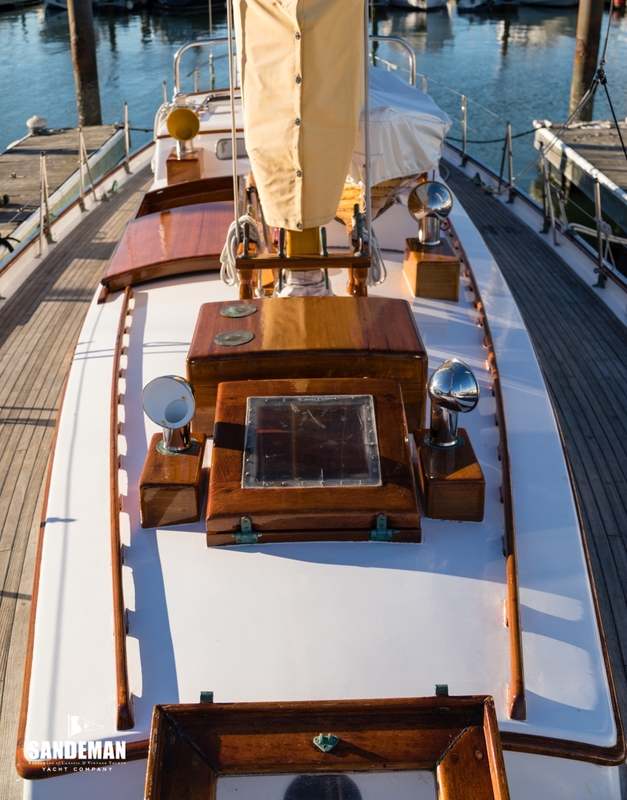 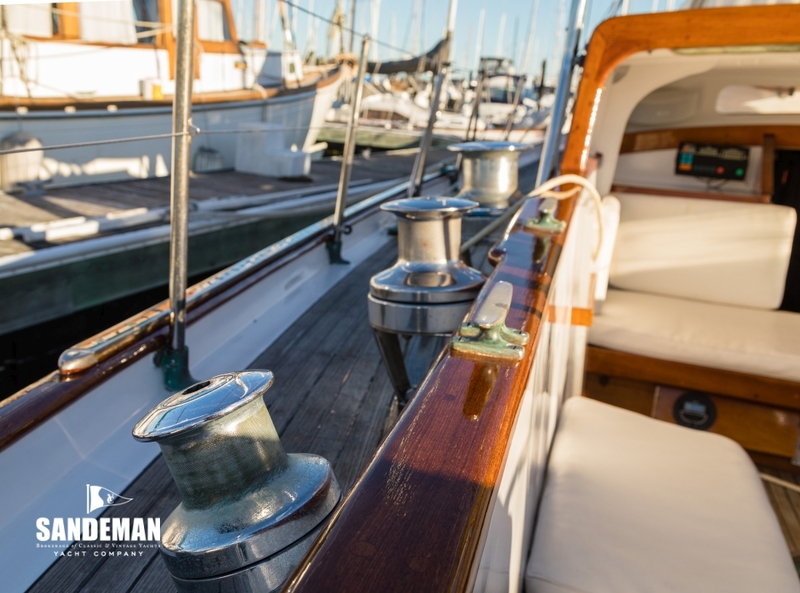 ROWENA was extremely well built by Lester Stone, California; mahogany planking and bronze fastened. 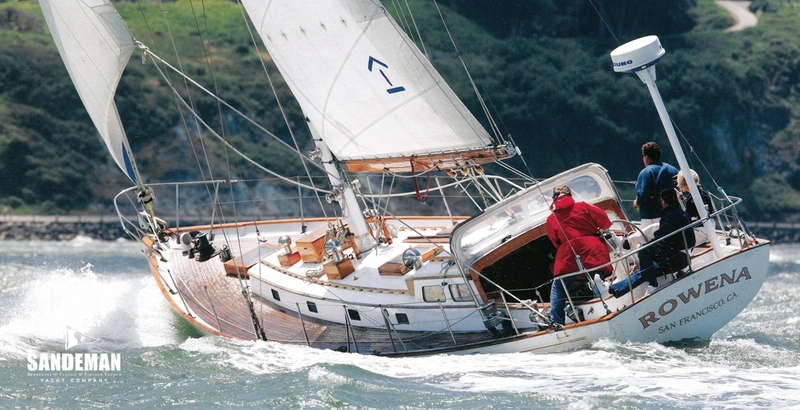 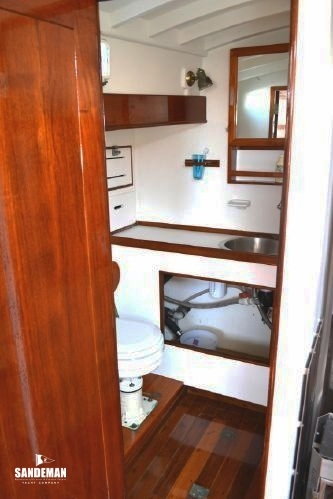 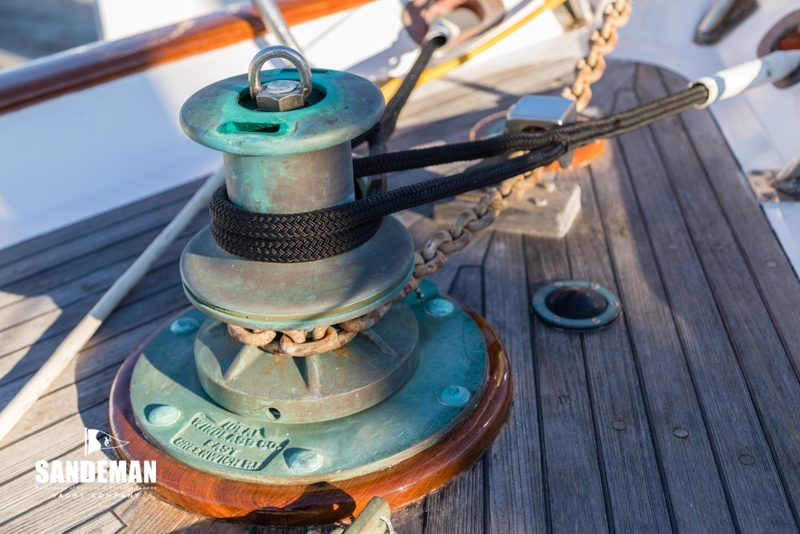 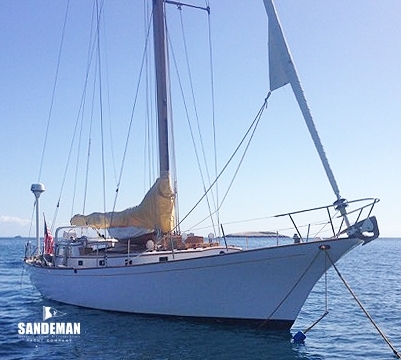 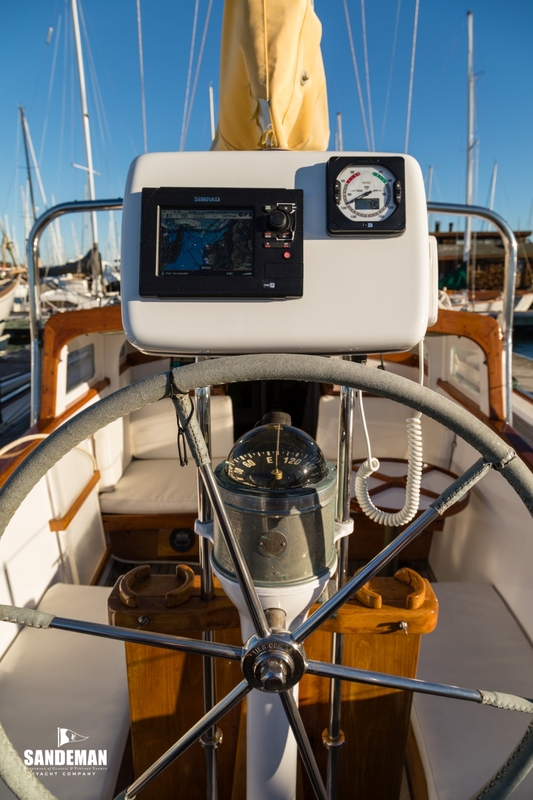 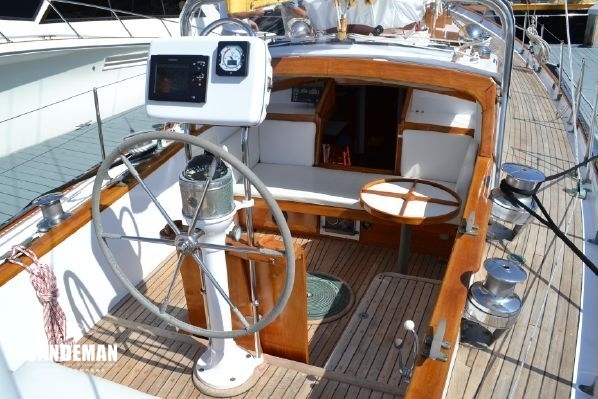 She has over 100,000 ocean miles under her keel and proven to be a fast, safe and extremely comfortable cruising yacht. 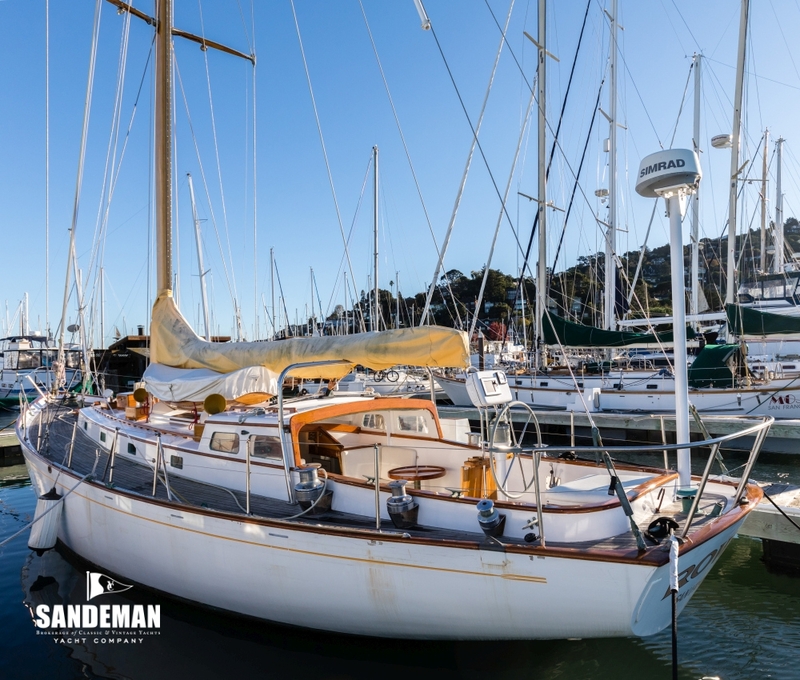 William Stone, originally from Dartmouth, England, established a boatyard in the Hunter's Point area of San Francisco in 1853, where he specialised in building commercial schooners and tugboats as well as racing and recreational yachts. 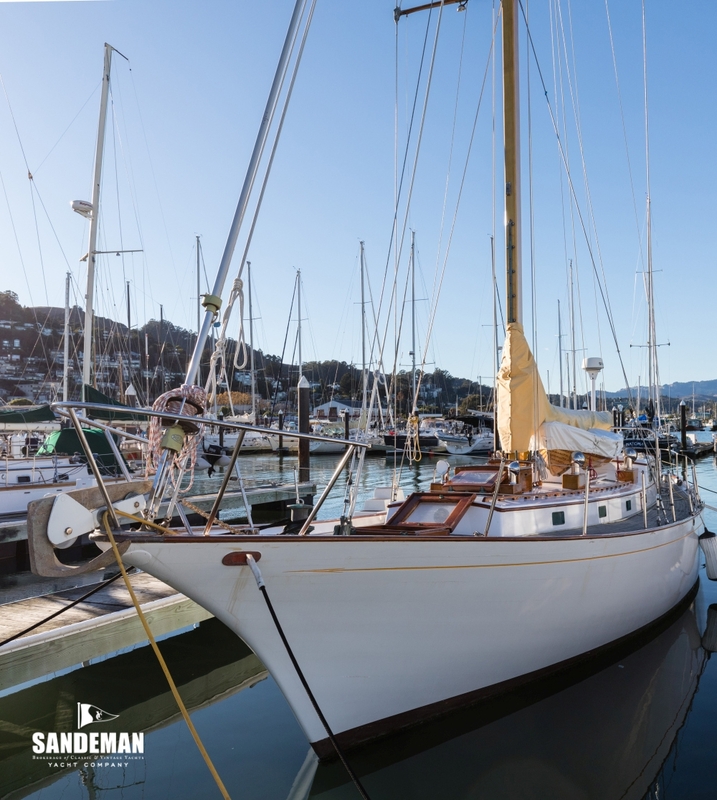 He was in business until 1892, when his son, Frank, took over, moving the company to Beach Street in Tiburon - a site now occupied by Sam's Anchor Cafe. 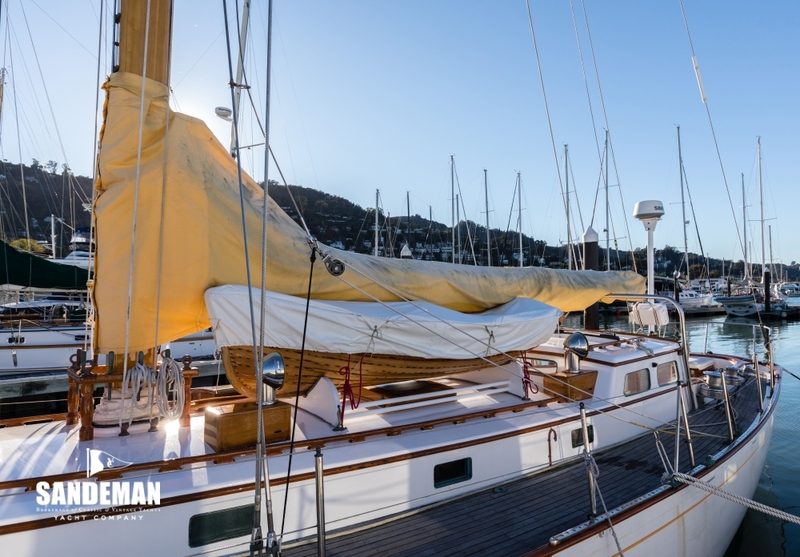 Then, in 1899, Frank moved the operation again, to Harbor View in San Francisco. 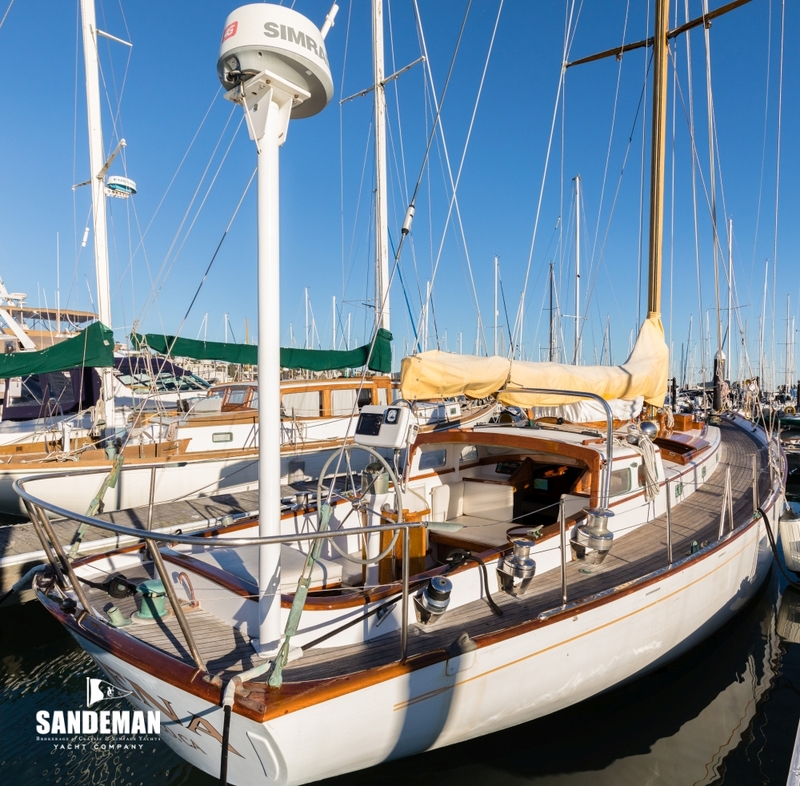 In 1911, he was evicted again and moved to a site at the foot of Diesel Way in Oakland, adjacent to the Union Diesel Engine Company. 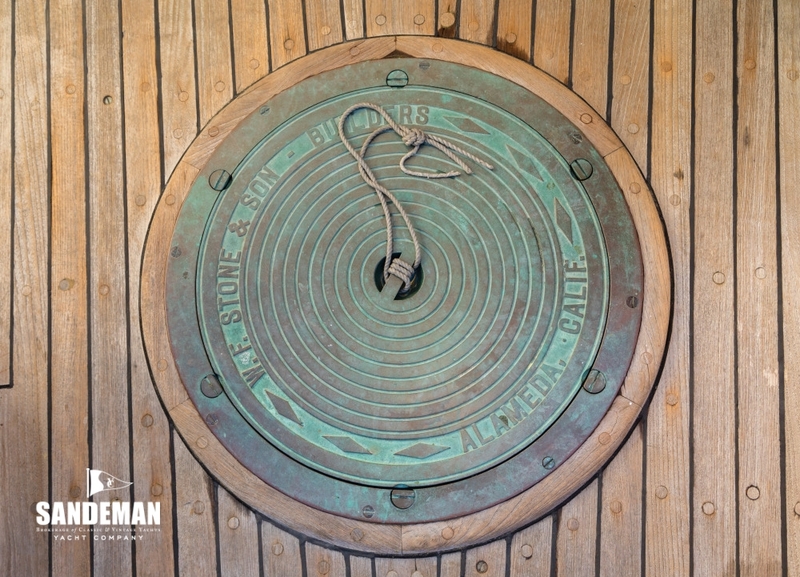 Frank's son Lester joined the business at this time and the name was changed to W F Stone & Son. 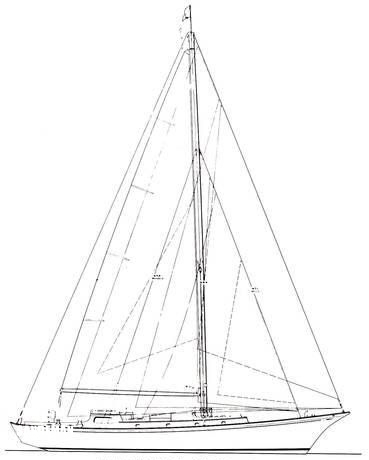 Then, in 1923 Frank died and Lester became the sole proprietor. 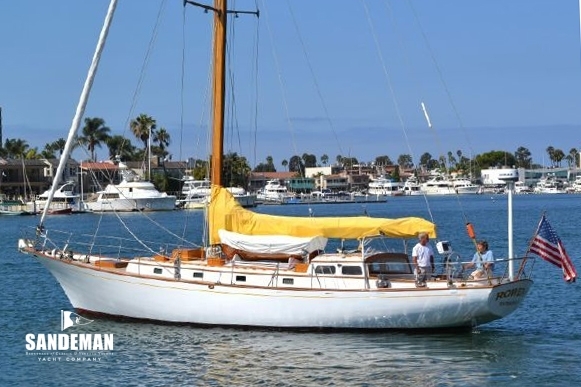 Following the entry of the United States into World War II and the subsequent expansion of Union Diesel, however, W F Stone & Son got evicted yet again and moved across the estuary to a location on Blanding Avenue Alameda. 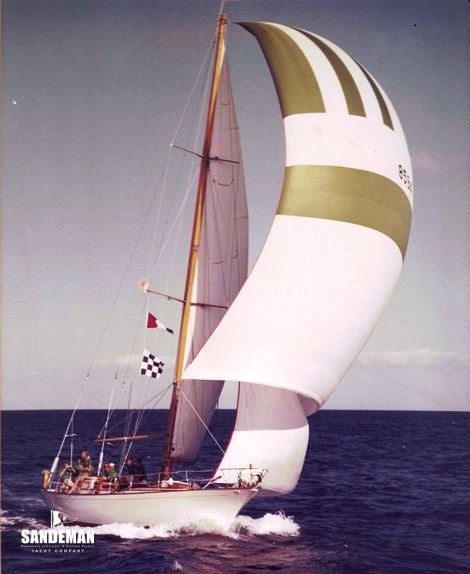 Lester Stone retired in 1970 and the yard was sold to John Whitset but continued to do business and be known as the Stone Boat Yard. 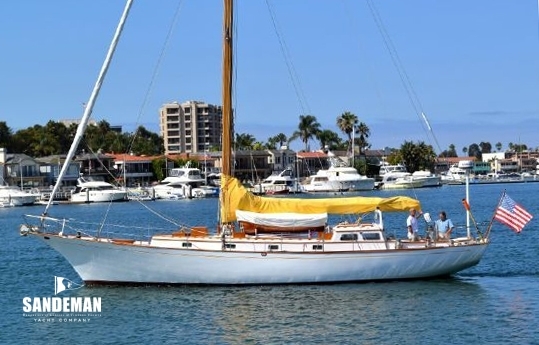 It declared bankruptcy in 1986 was sold again; to Bill and Grace Bodle then again in 2000 to David Olson. 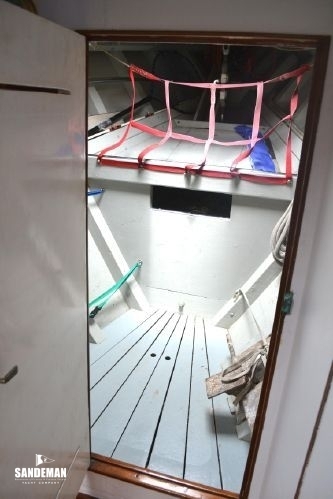 The yard closed finally in 2004. 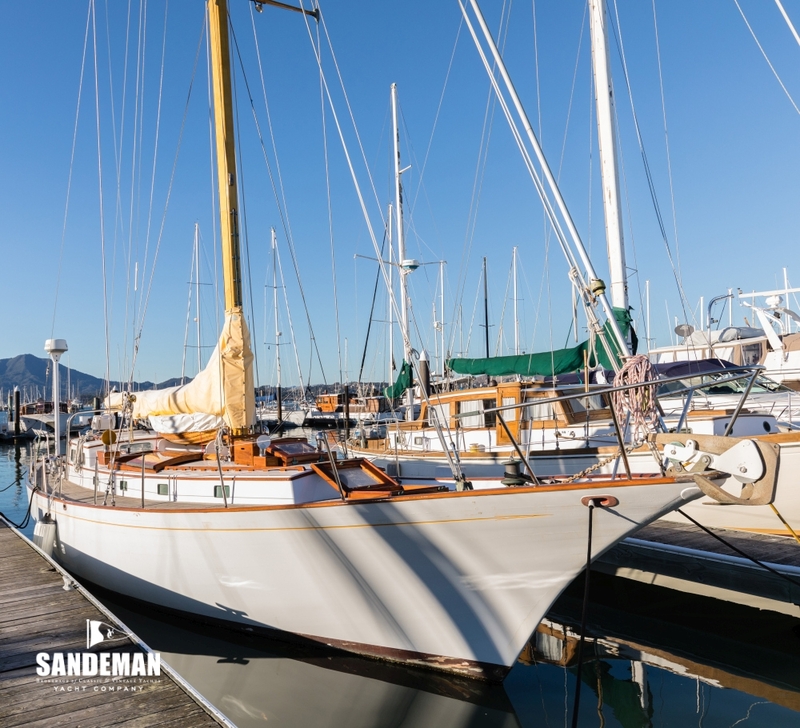 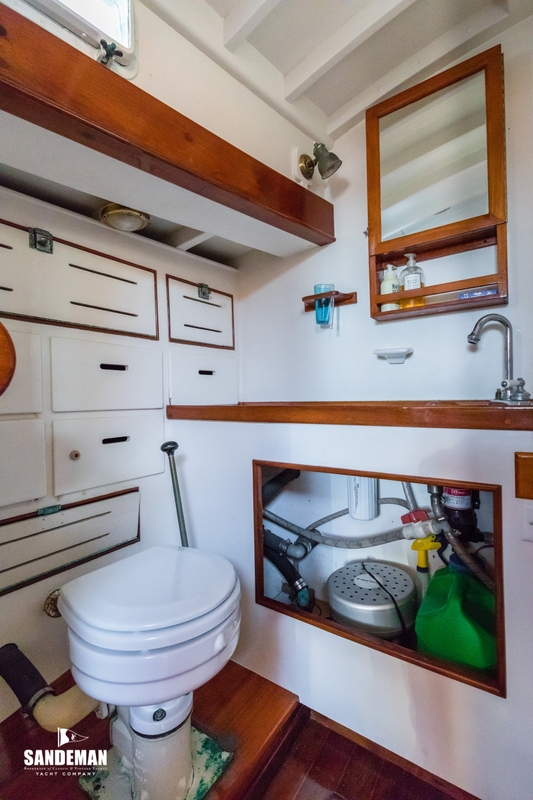 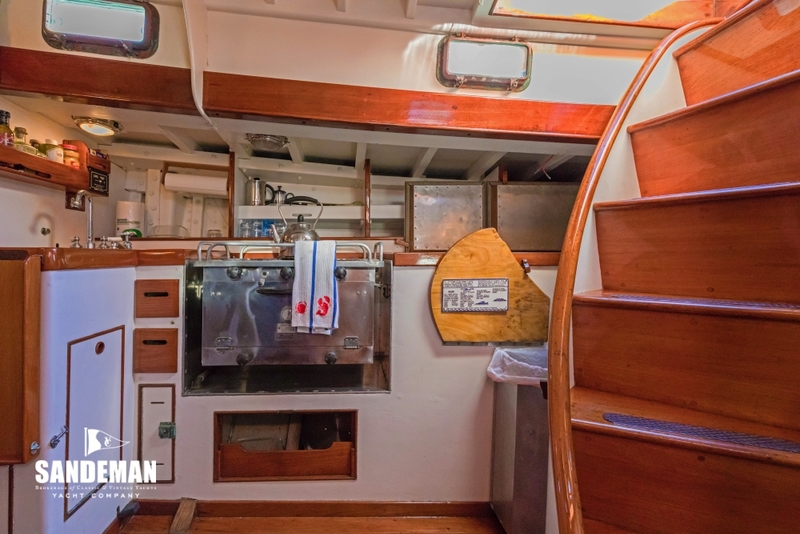 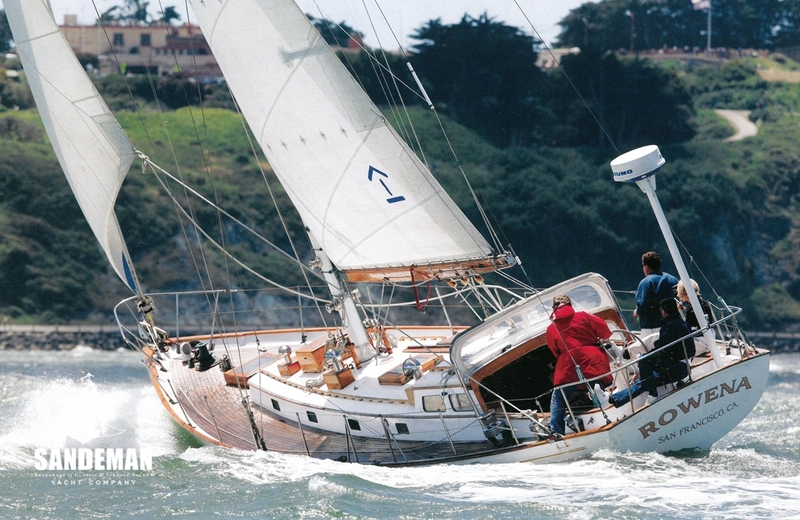 According to a record of the very substantial number of boats of every variety built by this company in its various locations ROWENA was built to the order of Donald Dalziel and launched in 1964 from the yard then at Blanding Avenue in Alameda.